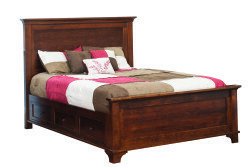 Solidly built from real American hardwood, the beds at Amish Originals are designed to make a statement in any size bedroom. 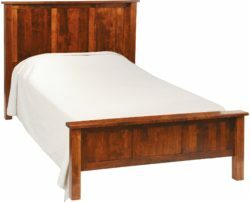 Available as headboards, complete bed frames or as part of a full bedroom suite with dressers and nightstands, our beds are constructed with your choice of Quarter Sawn White Oak, Red Oak, Maple, or Cherry wood types. 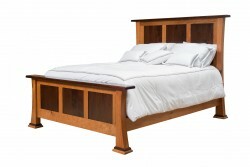 Every bed exhibits features like doweled or dovetailed mattress supports—a sure sign of quality workmanship from Ohio’s finest Amish craftsmen. 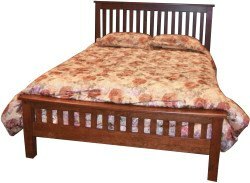 All of the bedroom furniture at Amish Originals is made-to-order and beds come in a wide range of styles and stain colors to complement your décor. 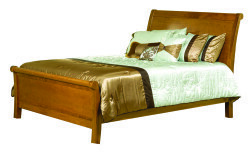 Beds come in Twin, full, queen and king size. 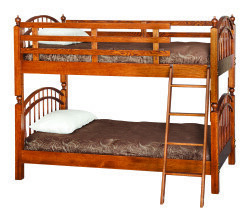 If you are looking to accommodate a child’s room or other small space, bunks, trundles, and under-bed storage designs are also available. 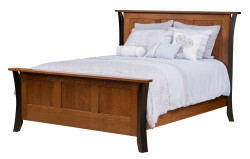 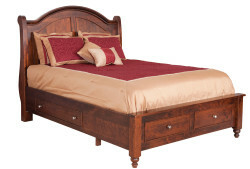 Whether you’re coming home to children jumping on the bed or hoping to grab a few minutes of Sunday afternoon shut-eye, you can rest easy knowing that a solid-wood bed or bedroom suite from Amish Originals will provide enduring beauty for your home. 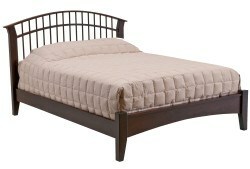 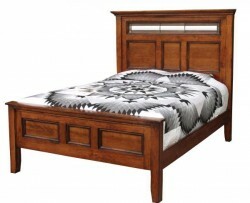 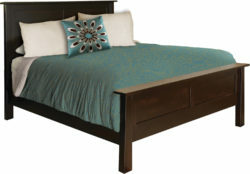 Drop by our showroom or call for a quote on a custom made bed today. 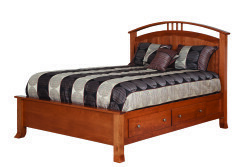 Shown in Cherry with optional two-tone finish.